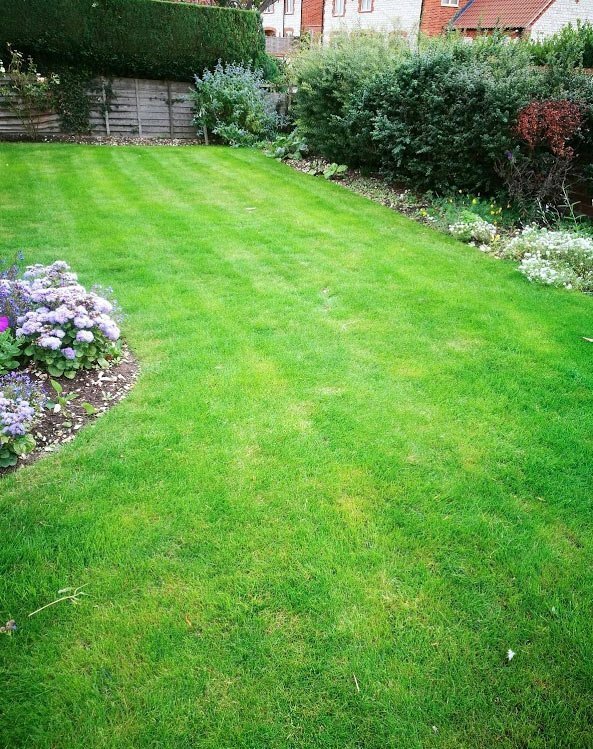 Tending and caring for so many gardens in and around Norfolk has involved the maintenance and care of many lawns. Initially it was an area that Balanis did not get too involved with. 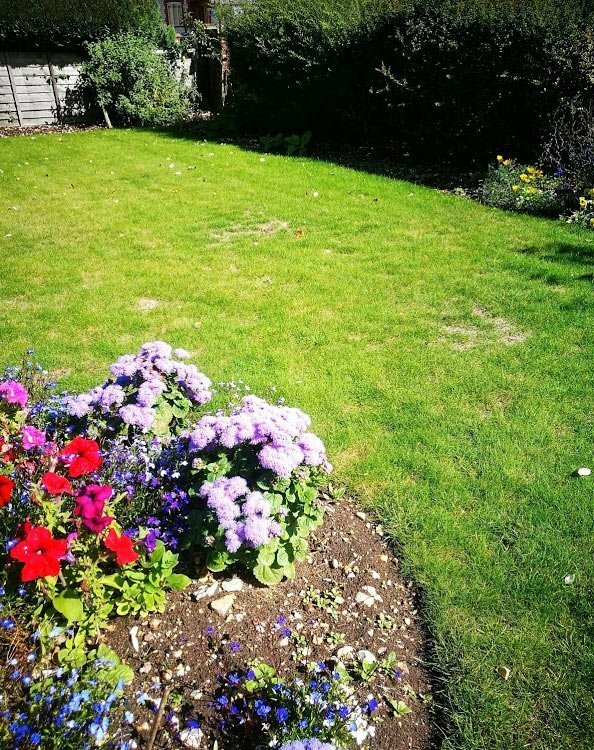 However, over the last couple of years we now offer a cost effective lawn care service that should provide a healthy and strong lawn for you and your family (and pets) to enjoy. The majority of lawn care is managed by Tristan, Louise’s husband. If it’s just a small lawn a hand rake is the perfect tool for gentle scarification. We will use a rake for average sized family lawns. Once the grassed area gets to be over 200m² we will employ a petrol scarifier. 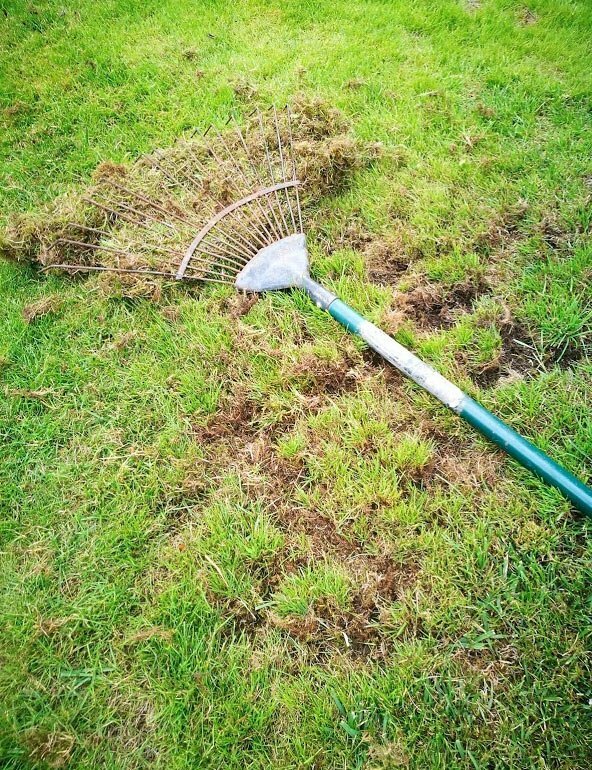 Following scarifying it’s important to feed and, if necessary, overseed any major bare areas. For more moss removal case studies please visit the blog. This lawn was in reasonably good condition however, there had been a build up of moss and thatch over the last few years. Half a day spent scarifying with a rake followed by a good feed, aeration and seed yielded some great results in just a few weeks. The lawn after just one lawn care treatment looking far better. It’s still improving following seasonal feeds.